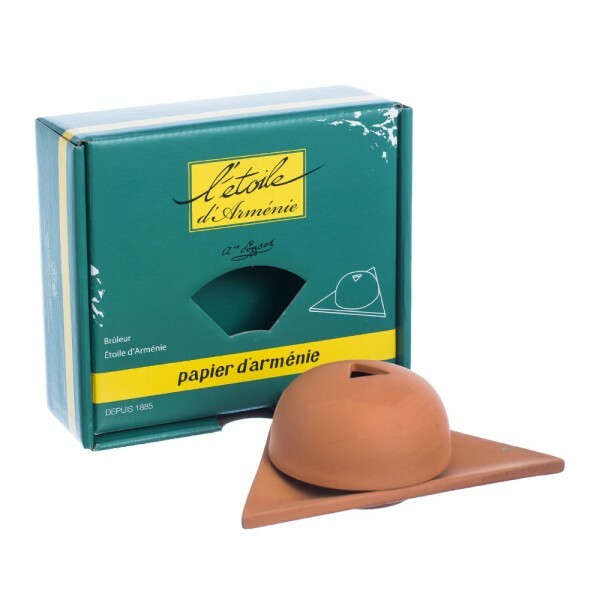 This two-piece terracotta burner, hand made in France, is perfect for use with Papier d’ Armenie purifying papers. Just fold the paper a little so it can be set on its edge on the triangular base and light. Place the cover over the smoldering paper and watch the purifying smoke come through the top.